The new 2017 Q7 is an engineering marvel that’s not only stunning to look at, but also a joy to drive. We all knew the Audi Q7 was a fabulous SUV, but it’s just been updated and made even more fabulous; trust us on this one. With an all-new look, upgraded interior features, and the same renowned Quattro system and engine you’ve all come to know and love, the brand new 2017 Audi Q7 is truly a marvel of design and engineering beauty. Sporting Audi’s signature single-piece front grille that’s become synonymous with the brand’s classy, sophisticated brand-image, the 2017 Q7 is the epitome of posh and upscale in terms of exterior design. Whether draped in Glacier White, Ink Blue or even Argus Brown Metallic, the Q7 wears its exterior sheet metal like a finely tailored suit. Xenon plus headlights are standard, giving the Q7 a characteristically aggressive stare that gives the SUV some serious presence on the road. While 19” wheels are standard, there are available 10-spoke Star design 20” wheels to add an extra level of style to your Q7. 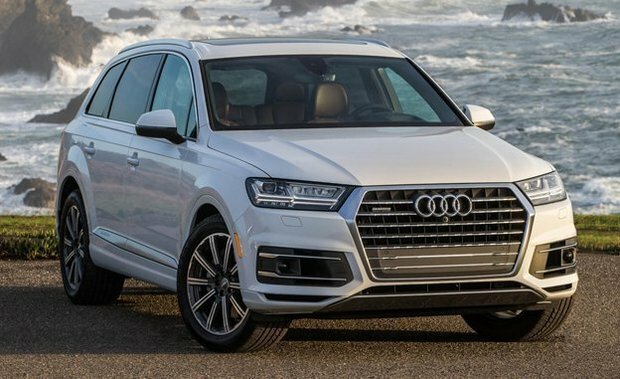 Inside, the 2017 Audi Q7 is both inviting and aesthetically pleasing with a host of amenities and features designed to keep you comfortable and connected to the road and your life. Standard leather seating is available in a choice of four different tones to perfectly match your Q7’s exterior colour choice. Continuing the harmonious look of the interior, you can also choose appropriately coloured (as well as chrome or wood) door and dash inlays to match your leather seating. One of the most exciting interior feautres of the new 2017 Audi Q7 is undoubtedly the brand new (and optional) virtual cockpit. Featuring a dazzlingly brilliant 12.3” LCD screen where the gauge cluster would normally be, the virtual cockpit is a gorgeous design element, but also highly practical as it contains all pertinent information from speed to navigation directions and more. The entire system can be controlled via the steering wheel. Also new for this year’s model is the touchpad integrated just above the shift lever to control Audi’s MMI system, as well as the virtual cockpit (if selected). And if you select the Progressiv trim Q7, you’ll find smartphone integration with Apple CarPlay and Android Auto standard. 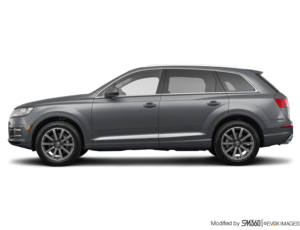 Now, of course, you don’t just want to sit in your comfy seats and fiddle with the vehicle's technological gizmos all day -- you want to drive your Q7! And drive you will, especially with the standard (on all three Q7 models) 3.0L TFSI engine that produces 333 horsepower and 325 lb-ft of torque. Weighing in at 115kg lighter than the previous generation, that means the 2017 Audi Q7 is lighter on its feet in all the right ways because it’s still very much grounded thanks to Audi’s fantastic all-wheel drive Quattro system, also standard across the board for all Q7 models. Truly, the new 2017 Q7 is an engineering marvel that’s not only stunning to look at, but also a joy to drive. To find out more about this versatile luxury SUV, head down to your local Glenmore Audi dealer today to find out more information, and don’t forget to book a test drive, too.